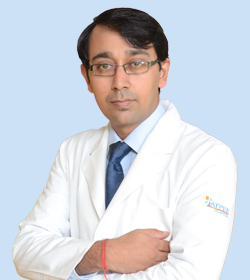 Dr. Singla completed MD (Nuclear Medicine) from AIIMS, New Delhi and later pursued senior residency from AIIMS, New Delhi. Dr. Singla has special interest in PET-CT (Oncology/Neurology/Cardiology), SPECT-CT and all Nuclear Medicine therapeutics. He has keen interest in research and publication and has published 29 papers in various national and international journals.